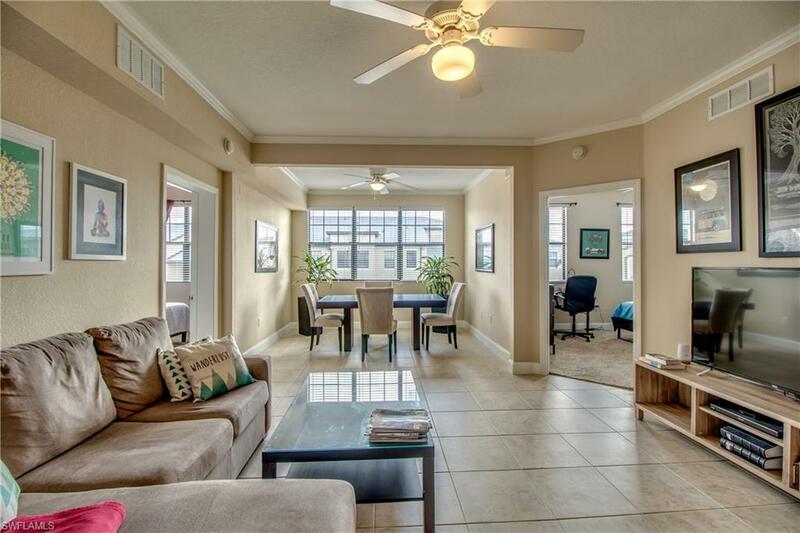 This impeccable 2 bedroom, 2 bathroom 3rd floor condo is located in the desirable, gated community of positano place. This prime naples community is conveniently situated on the livingston road corridor with close proximity to shopping, dining, i-75 access and is approximately 4. 5 miles from the beautiful clam pass beach. Top floor, no neighbors above! Common elevator. The kitchen features stainless steel appliances and the condo is being sold with a highly sought after 1-car garage. Positano place boasts a lovely amenity center that includes a clubhouse, resort-style pool, fitness center, car care facility, outdoor sports bar with tv and much more. Call today to tour this charming piece of naples. Renovated in 2016, second-floor condo on two levels. This 2 bedrooms/3 baths condo is sold turnkey and comes with a *garage*. New kitchen with stainless steel appliances, new furniture, ac, water heater, washer, and dryer have been changed, electric shutters on the downstairs lanai et upstairs balcony. New garage door motor system has been installed. Laundry in residence. High ceiling throughout the unit (mainly 2nd floor). Two master suits on the second floor. Steps away from the pool, clubhouse and grilling area. Fairways at emerald greens is located in the forest lake neighborhood on quail run golf. Golf membership is not mandatory. Two miles from the beach. Publix, target, restaurants, costco, banks and more are located close to the community. Fully furnished, turnkey - just bring your clothes and personal items! Perfect location and community to spend the winter in naples or live here year-round! Extra bonus feature: huge walk-in closet in the master bedroom and extra-large slider doors into the lanai from the living room. Enjoy the beautiful, peaceful and relaxing view of the quail run golf course from the living room, lanai and master bedroom. Split floor plan allows you to enjoy your privacy from your guests staying in the 2nd bedroom. Spacious kitchen with a breakfast bar over looking into the living room/dining room. Approximately 3 miles to clam pass park & beach, walk to publix, target, public transportation & more! Mira vista has a heated pool. Clubhouse, fitness room & elevators. Quail run golf course memberships are available for purchase separately directly through quail run golf club. Move right into easy-living in this light and bright, well-maintained condo located just minutes to i-75. This cozy unit is on the top floor of a quiet building (with an elevator) located at the back of positano place and away from livingston road. Condo features stainless appliances, granite counters, lots of windows, a built-in desk and laundry in residence. The positano place community center offers a 6,800 sq. Ft. Clubhouse with game/media rooms. There is also a well-equipped fitness facility featuring a weight room, treadmills, recumbent bicycles, cardio and strength-training equipment. Last, but not least, positano place is only 4. 4 miles to the beach! The naples lifestyle at a super-affordable price is right here waiting for you! Motivated seller. The western lake view from this second/top floor condominium is one of the best on the street. This condo offers a volume tray ceiling and outside storage area. The home is located across the street from the private heated pool and spa area only accessible by oyster catcher point residents and their guests. Located minutes from shopping, movies and fine dining and four minutes from the sugar white gulf beaches. Optional membership is available for the tennis player with har-tru courts, as well as a clubhouse, junior olympic sized pool, fitness and dining. It is a short walk over the lighted footbridge to the clubhouse and tennis courts. Naples bath and tennis is home to the sanchez-casal tennis academy. Rentals allowed after three years of ownership. C. 15207 - welcome to this elegant 2nd floor coastal inspired 2 bed 2 bath. Nestled in a beautiful gated community in north naples. This turnkey condo has new ac and hot water heater, spacious cooks kitchen with all stainless appliances. Tile floors throughout, lovely screened lanai. The reserve at naples offers a gorgeous resort style pool and spa, walking trail, tennis court and indoor racquetball court, clean fitness center/ complete with free weights and cardio equipment. Ez access to 75 and 15 mins to naples famous beaches and shopping. All ready for you to own!!! !